What would a short passenger train in the streamliner era look like? I'm looking to get a model passenger train from the streamliner era. I wish my consist could be as close to reality as possible, but I definitely don't have enough room for a 10+car consist. I did some research about trains in that era, but as far as I know, most of the named trains at that time are long-distance passenger trains with dozens of cars. I did come across Wabash's Bluebird. Also, the Silver Streak Zephyr seems to be another short option. But those are the only two I can find so far. So is there any other short (4~8 cars) passenger trains at that time? I would guess short distance services tend to use fewer cars, but I didn't find enough record of them. And what would be a typical consist of these short trains? Budd RDC services such as the WP Zephyrette are about as small as you could go in that era while still counting as 'streamlined.' One lone RDC, from Oakland to Salt Lake City. 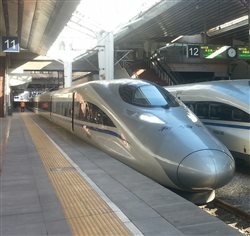 CRH380AL, The streamline era actually can be traced back to the 1930s. 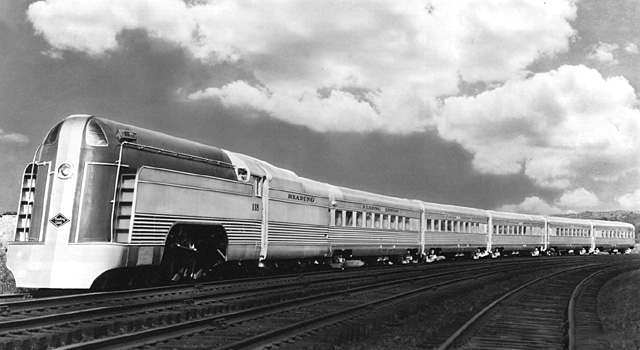 The Burlington's Pioneer Zephyr and Union Pacific's M-10000 were some of the first streamliners. Crude but, streamliners none the less. Smooth and corrugated sided cars also appeared in the thirties, being pulled by steam, which was often streamlined to match the consist. The years just before Amtrak also saw many short trains, some just a single unit and a coach. I remember New York Central' New England States with three E units and 16 or 17 cars. I also remember it as a Penn Central train of one E unit and four cars. During the early to mid 1960s, the New Haven's train number 13, the 42nd Street used to run between Boston and Grand Central Terminal with a single FL-9, a 60 foot heavyweight baggage car, and stainless steel parlor car, diner, and two coaches. As passenger trains faded into history, many went through a process of shedding cars as ridership dropped and, they were finally discontinued. You will get more definitive answers if you narrow your time frame and railroad of interest. The Central of Georgia, ran the Nancy Hanks and the Man of War, both were 4 car streamliners. The B&O Cincinnatian Train, a home built streamliner, initially ran a five car consist between Washington and Cincinnati OH. Most original Metroliners ran with a four car consist, a parlor car, a snack bar coach and two full coaches. Full consists increased the train size by two cars. Amtrak's Keystone service consists averaged three coaches, either conventional or Amfleet, behind a P42. There are numerous other examples, including two Model Railroader articles about "Pike Sized Trains". As mentioned there were several MR articles about "Vest-pocket" streamliners or Pike-Sized passenger trains. CRH380AL ... to the forum.... Feel free to continue psoting here. You asked about short passenger trains. ... Model Railroader calls them "Pike Sized Passenger Trains". 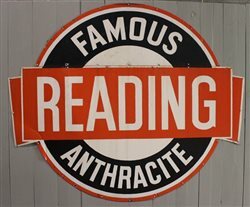 Over the years, they have published manyrticles about them. I suggest you get their book on sale at kalmbach for some ideas. ...https://kalmbachhobbystore.com/product/digital-download/mrpdf024 ..... (It is a downloadable product ) ...... Prior to Amtrak, railroads across the country operated the short trains you are envisioning. Typically, they traveled 500 miles or less. My favorite is the Kansas City Zephyr. .... Below is my model of the KCZ. 5 car set with a obs car at either end. Consist was bi-directional. Original consiste was a streamlined stainless steel clad pacific with a tender fairing the enclosed the "front " obs end. All you did was turn the engine and put it on the other end of the train and its was good to go. Later used an A-A set of F units. Engine, Baggage, 3 Dome Coaches, 1 Diner, 1 Dome Obersvation. With E-units only one engine, with PA's they ran with two engines. Santa Fe #26 at Clovis, N.M. August '67. A nice Warbonnet PA on the head-end. 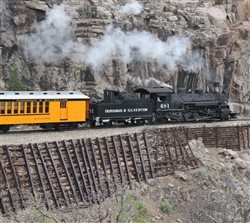 The Rio Grande had several short passenger trains they ran other than the one from Salt lake to Ogden as mentioned above. There was also the Prospector and the Yampa Valley Mail. The Rio Grande would scale their trains to match ridership. 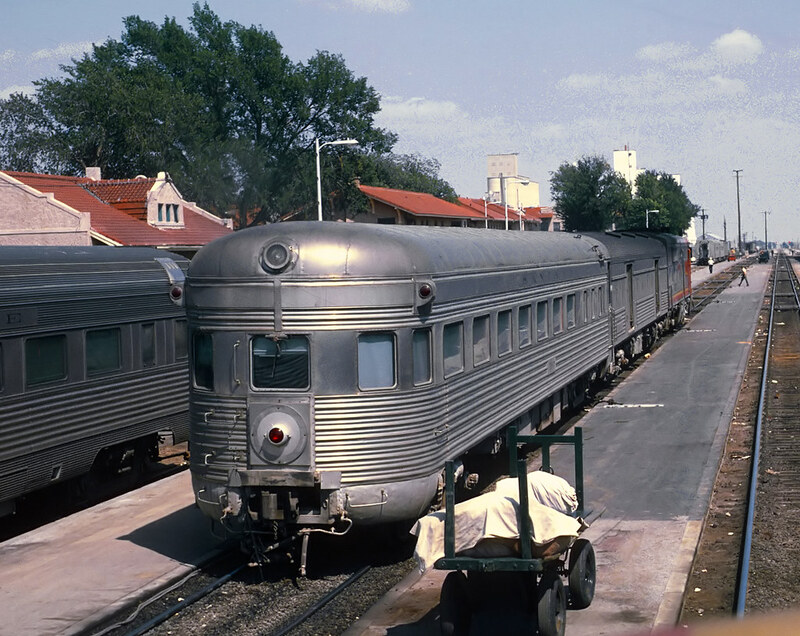 Even in the last days of the Rio Grande Zephyr they would par the train down to just Dome cars if ridership was low. 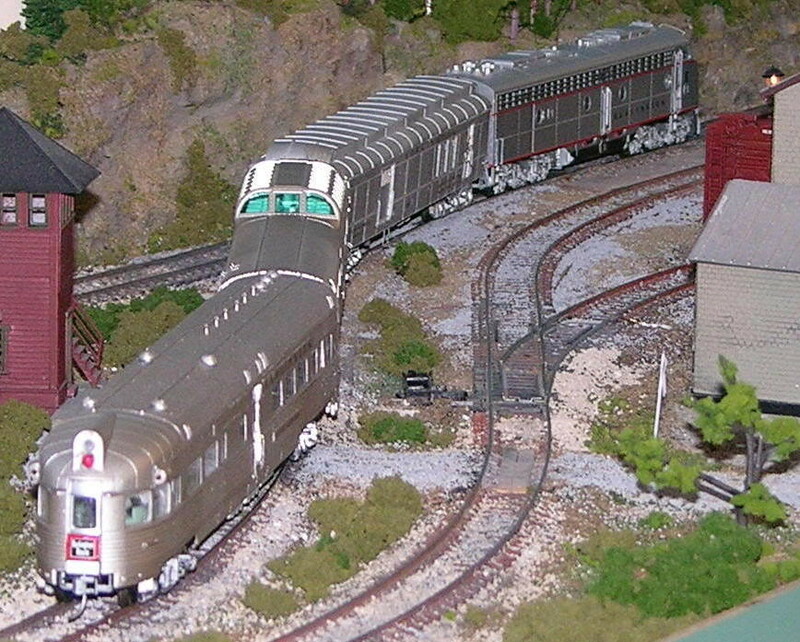 There are several photos out there of a 6 car Rio Grande zephyr (5 domes and a combine). The Yampa valley mail was generally a baggage car and a coach or dome car. There were short trains everywhere, but their make-up depended on the clientelle. Some were locals, or commuters, headed by a 2-8-0 or a Pacific class 4-6-2. They might have a diner included, but perhaps only 3-6 coaches if the trip were to total 60 miles between termini. Some might be 'extras', an oversubscribed name train that needs another four cars to tag along behind by 30 minutes or so due to unusually heavy volume. There might be a combine on a local or commuter to include an RPO and baggage. A diner only if the train's corporation knew there was demand and that the competiton provided one that kept customers loyal. Chances are good that there might be simply coaches, as I said previously, and a snack bar/galley. No need for a baggage car, maybe not even a combine, for all those briefcases and shopping parcels returning to the outlying townships after a day at Kresge's or Sears. The consist was an EMD E7, followed by a mail/baggage, 3 coaches, and a parlor/observation car. Thank you all for replying. 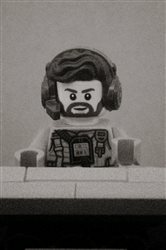 I learnt a lot from all these information. Similar to the Red River was GN's Badger/Gopher between Mpls-St.Paul and Duluth-Superior. It normally ran about 5-6 cars, with an RPO/Baggage car up front, coaches, and a parlor/cafe car. 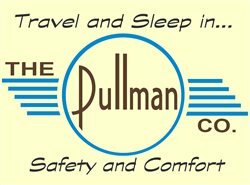 In the 1940's, it was a Pullman green heavyweight train pulled by A-B sets of FTs. After the GN's E-7s failed on the Empire Builder, they often were used on the Gopher / Badger. By the later 1950's it was a streamlined train (with one or two rebuilt / repainted heavyweights) using some hand-me-down cars from the earliest streamlined Builder. Rock Island had a couple of 3 or 4 car Rockets. Cars were baggage/kitchen/dinette, coach (or two) and observation/lounge. Yea, the Rock. It had a train through Colorado that split up, with a cab control B unit that takes part of train to Colorado Springs, while the rest of the train went to Denver. The two trains came back together in Denver. I forget the name of the train. I know this thread has inspired me to look at options for short commuter and passenger trains on my layout! The train's name was the Rocky Mountain Rocket. The locomotive was the EMD model AB, which consisted of a single 1,000hp 12cyl 567 in the front half and a baggage compartment in the rear half running on a pair of three axle Blombergs. The cab end was built with a flat face to simulate the appearance of a B unit. The train mentioned in my previous post was the 1937 edition (three car) and 1939 edition (four car) of a non-specified Rocket. The 1937 edition was hauled by an EMD model TA locomotive powered by a single 1,200hp 16cyl Winton 201A engine riding on a pair of two axle MCB trucks. The rear of the carbody on the TA was dropped down to match the height of the following cars. These Rockets could be considered RI's version of the early Zephyrs, with separable cars (though two of the cars were articulated). Information on the model TA and AB were from RMC's Loco 1, the Diesel and the 1937/39 Rockets from Train Shed Cyclopedia #16, which reprinted selected pages from the 1943 Car and Locomotive Cyclopedia. The Rocky Mountain Rocket split at Limon, CO. The Colorado Springs section terminated/originated in Colorado Springs. Somewhere on the Kalmbach website there are (or were) pictures of the process for combining the two sections at Limon. For a time, there was also a Kansas City section that split/combined at Belleville KS. The EAB6 units were found to be underpowered and a second engine block was eventually placed in the baggage section. They finished their careers in Chicago suburban commuter service. On most railroads, when a regularly scheduled train was sold out as far as space was concerned, the overflow would be handled in a train running behind the original consist by a certain time interval. This train would keep the same schedule as the original except a set interval later. The original consist would display green flags by day and green marker lights by night on the lead locomotive to indicate a second (or more) section(s) would be following. This was required of each section, except the last. During the heavy travel periods in the heyday of train travel, many premier trains would run in as many as five sections, somewhat like streetcars. The last section running on a given schedule displayed no flags or markers, indicating it was the final train of that scheduled series. Extra trains were just that--trains operated in addition to regular schedules. Most extras were troop trains, camp trains, Boy Scout extras, baseball, football, race track specials, and fan trips--in other words, chartered moves. They didn't normally adhere to a set schedule although, they were first class trains. Extras were identified by white flags by day and white markers by night on the lead locomotive. As far as baggage cars, in many cases they were the only thing that kept a lot of trains in the timetables. On many railroads, once great name trains went to oblivion as a worn out coach trailing a string of head end cars. It was the mail and express that helped make up what was lost moving people. Even some commuter trains carried a head end car transporting bundles of daily newspapers to the suburbs. If there wasn't enough papers to warrant a separate car, usually the first vestibule of the first car behind the power became an impromptu express car with bundles of newspapers. Then, Budd came along withe RDC-2 and RDC-3. Personal experience: Left South Station in Boston on one night in December of 1964, maybe a week or ten days prior to Christmas, on New Haven train 185, the New Yorker bound for Penn Station, New York. Three FL-9s, 25 head end cars, two occupied 8600 coaches, and one deadhead idling RDC-1. No question as to what was paying the bills that night. It was more freight train than a passenger move! A sight you don't see now: Many a time we'd pull into a smaller station and, there would be a hearse from a local funeral parlor backed up to the platform with the rear door open to receive someone coming home for the final time. Those stops were always made with a little extra care, simply out of respect. Now UPS handles human remains, instead of Railway Express Agency. A vignette for a model railroad? Occasionally?